It’s Monday after the Visit With Respect Ambassador Training weekend and I’m ready to get started with my patrols today! I have a total of 15 sites located throughout the Bears Ears National Monument to conduct my Visit With Respect Ambassador outreach so my plan is to make a big circle route which I’ll follow each week. My goal is to hit each site once a week so I’ll be keeping busy out in the backcountry! The sites are a mix of petroglyph/pictograph panels, caves, and various ruins spanning back as far back as 500 B.C. I’ll only be revealing the names and locations of sites which are classified as “BLM Open Sites”, the sites which haven’t been officially hardened and stabilized for heavy visitation will remain anonymous. However, I will be taking quite a bit of photography at each location and I look forward to sharing those images with those who’ve pledged their support to this conservation endeavor. I’m extremely proud to help out with conservation & visitor outreach efforts here at Bears Ears National Monument. The group of people I’m working with are top-notch individuals and I look forward to spending time on trails together getting to know them. If you’ve not had a chance to visit Bears Ears, I’d recommend putting this on your “must see” list of places to visit. You can feel human history here, ruins and rock art dot the landscape in every direction. Human activity in this area began way back around 6,500 B.C. It’s hard to imagine a time so long ago yet humans were thriving here living a nomadic existence constantly moving to different elevations following favorable weather patterns. As societies advanced with technology, above ground dwelling structures started to take shape along with more complex pottery and rock art. As a Visit With Respect Ambassador, I’m charged with positively engaging visitors on my hikes to answer any questions about the area and in the off chance I encounter someone not behaving themselves then I’ll offer constructive advice on how to responsibly enjoy these culturally and environmentally sensitive areas within the Monument. So in essence I’m a friendly set of eyes and ears here on the Monument while at the same time hiking to incredible locations which will make your imagination soar while being immersed in an incredibly diverse desert ecosystem. Education is the future to conservation. Here in Southeast Utah, the ecosystem is as fragile as the countless ruins which dot the landscape. Therefore, visitors to the Monument need to be armed with the knowledge on how to Visit With Respect and Leave No Trace. 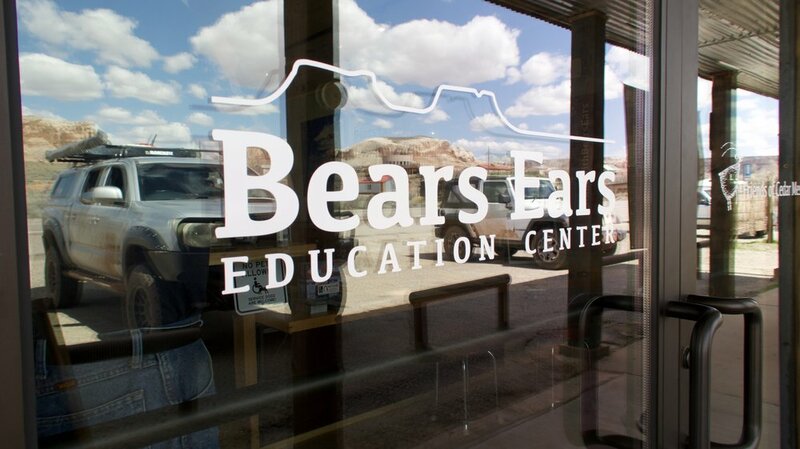 All funds raised will be donated directly to the Bears Ears Visit With Respect Education Center located in Bluff, Utah. For more information on my specific duties while at Bears Ears, please visit this page by clicking here. Thank you to everyone who’s shown their support!